In the (not so) old days of online video game livestreaming, broadcasting your gameplay live meant you had to have a fantastic internet connection. And even with a good connection, choosing a VPN for security often meant losing quality on your streams. Say goodbye to those days, thanks to Speedify. If you’re looking to secure your internet connection, Speedify’s high-speed proprietary ChaCha-based encryption keeps your connection safe without sacrificing speed, so you can protect yourself from IP leaks and DDoS attacks. With our speed servers spread across 24 countries and counting, changing your online location is easy with Speedify if you’re looking to play in a different region. 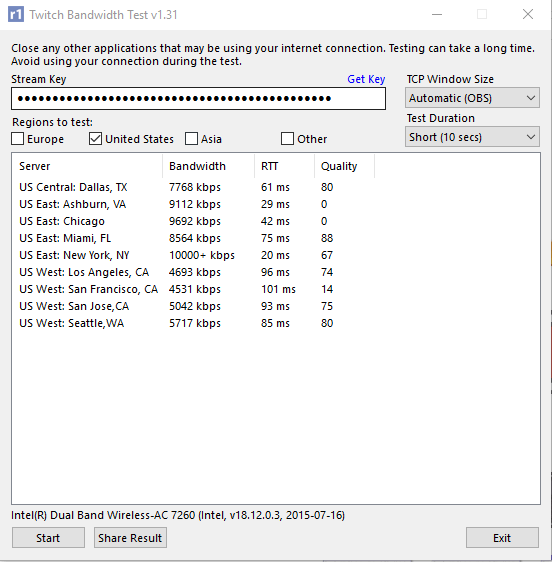 Additionally, our advanced forward error correction features prevent packet loss so your streams stay smooth and crisp. Speedify’s amazing bonding features let you combine the bandwidth of multiple connections. This means if you have an extra WiFi hotspot nearby or a smartphone connection to tether to your PC, you can really boost your speeds. Even working with a measly 2 Mbps Internet connection, Speedify can make your streams watchable by doubling that with a second connection, while protecting you with encrypted VPN security. During our play tests, we attempted to stream Battlefield 1 in HD over a 3 Mbps connection. The results were poor at best without Speedify running, with a lot of buffering screens and interruptions. 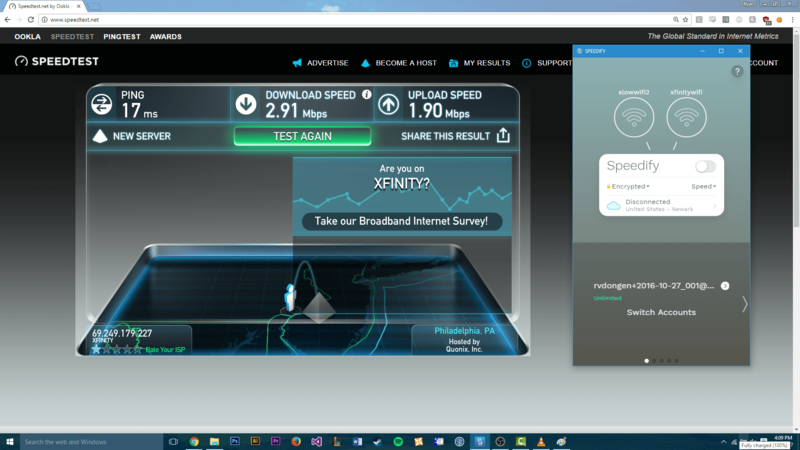 After turning on Speedify, we managed to get a pretty smooth stream going just by turning on Speedify and bonding with a connection to some nearby Xfinity hotspot that provided us with an extra 6 Mbps, for a nice total of 9 Mbps. Even if you’re not looking to share your gameplay, you can watch streams better with Speedify too. Speedify is available for both desktop (PC & Mac) and mobile (iOS & Android), so you can catch up with your favorite Twitch streamers and YouTubers on the go! Speedify mobile lets you combine WiFi and cellular so you can get a faster, more stable internet connection. If you’re at home, you can bond multiple connections to make the most out of your home Wi-Fi and view streamed video in HD with less buffering and interruptions. 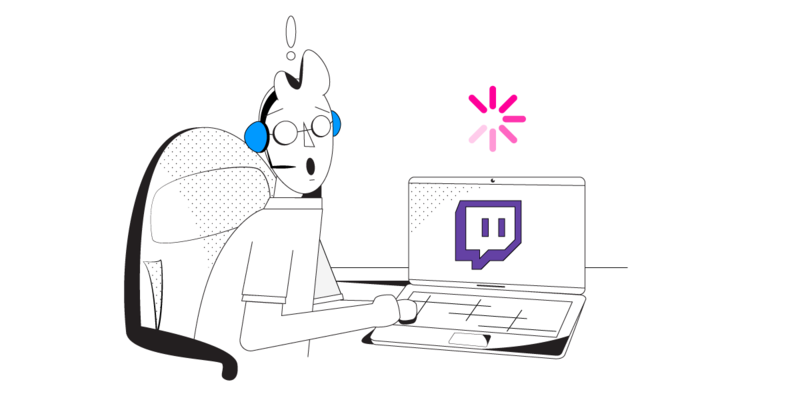 Whether you’re using Twitch to stream your own gameplay or just to watch other streamers play, secure your connection and fix slow Internet speeds by using Speedify. Are you ready to fully enjoy online gaming? Complaining too much about Twitch buffering or an unreliable Internet connection? Get started with Speedify today for FREE – no strings attached, no email sign-up necessary, no data logging! 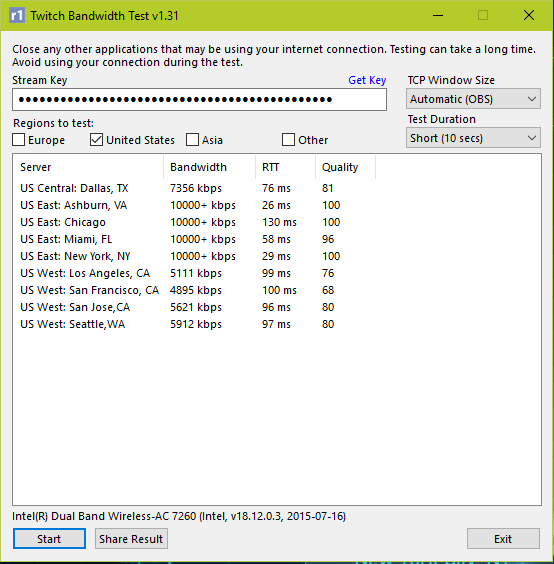 Start speeding up everything you do online (including Twitch) today!